Brenden Jaimes made his commitment to the Huskers on April 16, 2016, while on campus for the spring game. That marked his first visit to Lincoln, and he saw enough to know he wanted to be a Husker. Jaimes announced his commitment after the game on Twitter. "I would like to thank the Nebraska football program for giving me an opportunity to live out my dream of playing college football," Jaimes posted on Twitter. "I'm honored to say that I'm officially committed to the University of Nebraska." Naturally, his commitment got the NU coaches excited. 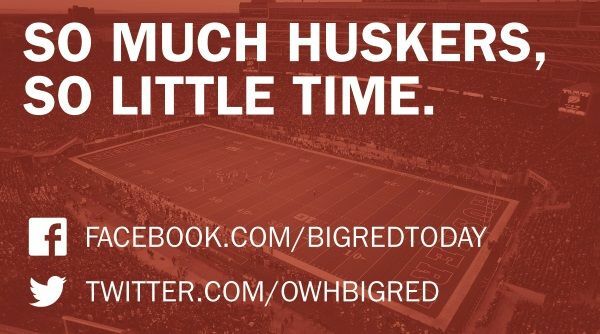 Mike Riley commented on Twitter that it was the "the icing on the cake to a great Saturday in Lincoln." Mike Cavanaugh said that "Nebraska is big in Texas." The commitment came almost a month after he was offered by the Huskers. Jaimes received his offer on March 17, 2016, during a big two-week stretch of his recruitment. Before the Huskers offered, Jaimes received offers from Texas Tech, Colorado and Iowa State in the weeks preceding it. Jaimes became the sixth player to commit to Nebraska’s 2017 class, and the first offensive linemen. He’d also be the first Texan for the Huskers since the 2015 signing class, as the Huskers went without one in 2016. Jaimes, at 6-foot-6, 260 pounds, projects to play tackle on the next level. He’s been a varsity starter on Austin (Texas) Lake Travis’ offensive line since his sophomore year. The Huskers believe he could play either tackle spot. Jaimes took an unofficial visit to Nebraska for the Illinois game on Oct. 1. After the game, he tweeted, "Best college football atmosphere I've ever been in by far!! Best fans in college football!" Cavanaugh made an in-home visit with Jaimes on Nov. 28. He made another in-home visit on the first day after the dead period on Jan. 12. That was important as Jaimes had started to pick up serious interest from other programs. Both TCU and Baylor extended him scholarship offers in late December with hopes of getting him to reconsider. Jaimes appears locked into to Nebraska, though, and he'll take his official visit to Lincoln the weekend of Jan. 20. Jaimes is a consensus three-star prospect.